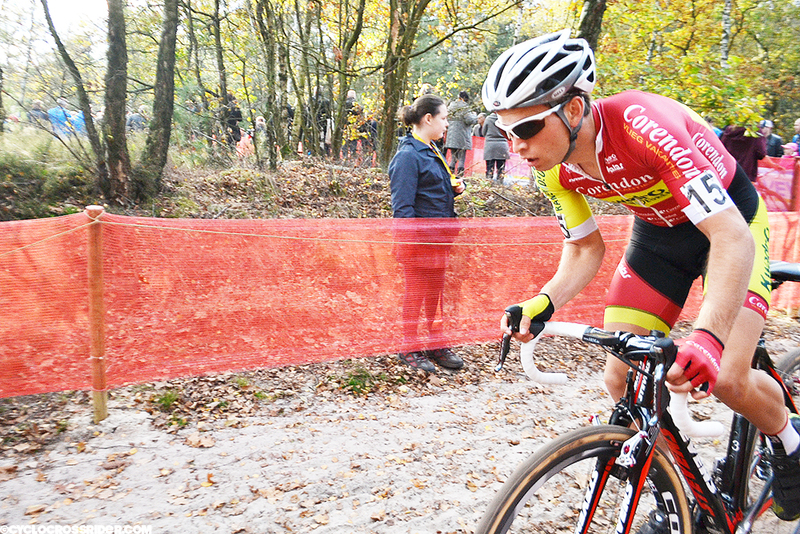 Corendon-KwadrO's Marcel Meisen is one of the select handful of top Germans racing in professional cyclocross. For the past two seasons he has been the silver medalist in the German Championship. He admits to having had a mixed season so far, but a few days after this December interview with Christopher Langer (of Crossmasters) he was eighth at the Trofee race in Hamme. His star is rising and hopes for another medal at German nationals on Sunday are high – and justified. Tell us about this season so far – what was the plan and how has it gone? Have you been able to identify any reasons for this? Sure, we're looking for an explanation, but up until now, we don't have any answers. It's a bit puzzling for most people in my team, but that is sport! All you can do is to continue doing your best. Your move from BKCP-Powerplus across to KwadrO-Stannah (which is now Corendon-KwadrO) meant you were no longer riding in Niels Albert's shadow. Has this been a positive development in retrospect? At BKCP, whether Niels won or not made the difference for media attention. At Corendon-KwadrO it's a little different and the captain's role is shared by five riders so when any one of us manages to ride into the headlines then everything is okay. Since we don't have a superstar, no one expects us to take home 15 wins from the season. We have different riders who can all achieve on a variety of different courses and in various weather conditions. My own expectations haven't really changed and there aren't really any major advantages or disadvantages. The teams are equal in terms of material and support. Did you expect the young riders - Matthieu van der Poel, Wout Van Aert and Laurens Sweeck (from your team) - to be so successful this year? Mathieu and Wout are two huge talents. Young guys that can already vie for the wins in the elite class don't appear every year. I did expect that Matthieu would show something big, off and on. At the moment, no one really dares to say that there is anything he cannot do. Is it pure talent or was it that no one expected them to just ride away like they did in Koksijde for instance? Not really, there is no surprise advantage for either of them anymore. And riders cannot say that they are unimportant for the general classification so let them ride away. Everyone wants to win a classic like Koksijde. I think that the rest of us just couldn't ride any faster. The Belgians and the Dutch still dominate, where are the Germans? Where are the problems with the development of young German riders? That's a good question that I recently discussed with Philipp Walsleben. But we didn't actually come up with an answer. The BDR (German Cycling Association) has always treated cyclocross with less respect perhaps? 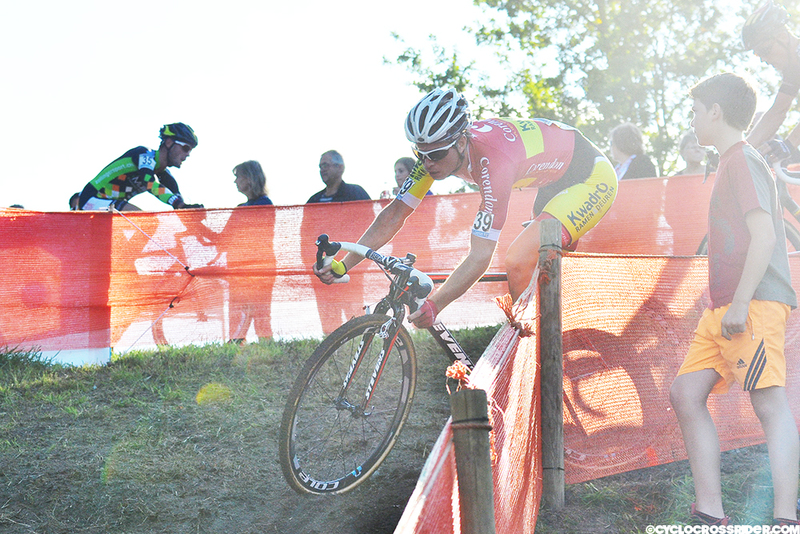 Sure, cyclocross is not the premier discipline for the BDR and talented riders in Germany tend to switch to the road. That wouldn't happen so quickly in Belgium. The BDR is also pumping resources into the 'hobby' (fun) categories which means that no one has to join a club. The support for children is falling and the big stars rarely race in Germany? Yes, I don't know much about the hobby racer scene and youth development, but I think if someone really wants to ride cross, then they will do it. In my case there was no club support, but I had the races in Belgium on my doorstep. The closest race in Germany (Frankfurt) was as far from me as the furthest race in Belgium (Koksijde). I had a father who supported me and knew the scene but a kid who starts on his own probably needs a club to support him. Racing in Germany is tough for me (and for Philipp), because our teams have little interest in our appearance there. Important races – above all, those on TV – cannot be missed. The German nationals is practicaly my only race in Germany, besides Lorsch, where the organiser Olek contacted us early. There have been some comments, especially in the American media, that the courses are getting too difficult - like Spa for example, where you could have climbed the hill with ropes. Do you agree? Of course, each organiser wants his race to be special somehow. The classics have barely changed at all in years though. But I don't think it is exaggerated. A seemingly simple race can also be very difficult. Basically, every race is pedal-to-the-metal. However, I sometimes wish the organisers were more flexible and that they would adapt a part of the course if necessary. You can't forget that in Belgium some parts of the course are created especially for the audience, TV or sponsors. That's a necessity. What is your favourite course and tell us a course that you hate? It depends on the conditions for some courses. There are a lot of courses that are fun to race on, but where you aren't necessarily super. But I always ride well and really like Ronse and Overijse. I don't really like suffering through really long stretches of mud – others are the specialists there. The new course in Hoogstraten is a candidate for my least favourite. In October 2014, news circulated in Belgium that 19 athletes were allegedly involved in a new form of blood doping. Did the racers react to the speculation that cyclocross racers were among the 19? All I know is what was in the media. A number of sports were involved, not just cyclists, but nothing has emerged so far. (The prosecutor in Leuven reportedly had until November 14th, 2014 to decide if the long-running case would go to court. Cyclocrossrider contacted the relevant department in December, 2014 and received no reply – Ed). We are seeing more disc brakes among professional riders. Have you tested any disc set-ups and is there pressure for you to do so? I've never tested them and I've no desire to switch to discs. I think it's a question of habit. Lars van der Haar won the World Cup with discs last year, but he would have without them as well. Personally, there are very few moments during the season when I thought I could have needed more braking power. I tend to think a lot more about how I can ride faster instead of slower! Do you have a little tip for our readers - maybe something small that makes a big difference? In courses with short climbs or sand sections - it's better to leave out one turn of the cranks just before a tough section that's just barely rideable and then make it over the hill or through the sand with power. Another one is when I'm lining up on the second row, I'm careful who I start behind when I roll up to the line – I'm always checking who tends to get a good start and who doesn't. Thanks for the interview, Marcel (and congratulations on turning 26 this week)!